The story here picks up a little bit after the last film with the same villain in Solomon Lane (Sean Harris), who was a former M:I agent, but then became the leader of a terrorist organization. 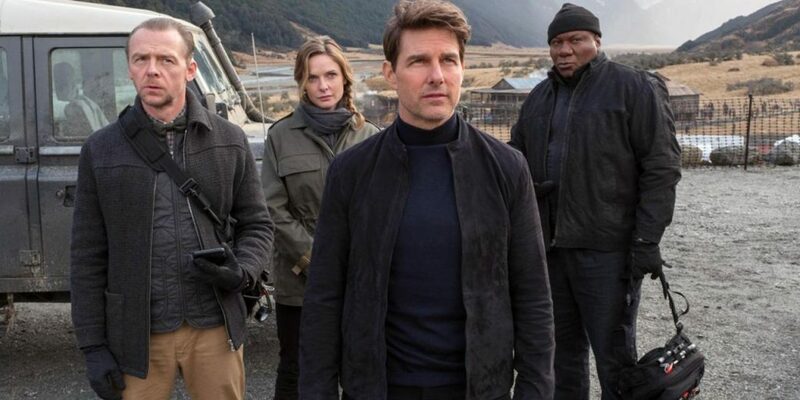 Cruise’s Ethan Hunt, Benji (Simon Pegg), and Luther (Ving Rhames) are all back together again as they try to find stolen plutonium. As their search is ongoing, the CI director forces her best operative August Walker (Henry Cavill like you’ve never seen him) to tag along. Additionally, there is a fantastic layered female character named White Widow who is extremely wealthy, charitable, and oh-yeah an arms dealer, in which she wants to trade Ethan Hunt the plutonium for Solomon Lane. There are some exceptional twists and turns that had my jaw on the floor, giddy with excitement. Returning director Christopher McQuarrie, (who has worked with Cruise on several films), has paced and shot a beautiful and brutal action movie with ‘Fallout’. The story is nothing new with these types of films, but it’s how McQuarrie tells it in his magnificent action sequences that are nothing short of spectacular. It’s difficult to tell where the CGI stunts start and the practical effects end here. 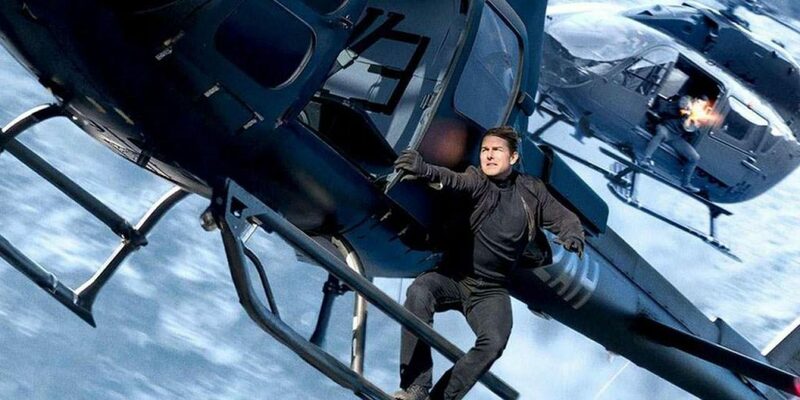 Cruise is getting up there in age, so if this were to be the last film, they definitely went out with a bang. You’ll immediately know how different this M:I film is from the first action sequence that takes place inside a brightly lit white bathroom, where Cruise and Cavill are allowed to show off their fight choreography with someone else. This feels realistic and barbaric in a good way, in that every hit and takedown is powerful that will cause you to shy away. Never in this franchise do you feel this reaction until now. The stunts are even greater than the previous films, which I would imagine are now the high standard that big-budget action films should strive for. It was known in the papers that production on ‘Fallout‘ was halted due to Cruise injuring himself performing a particular stunt where he had to jump from one tall building to another. This scene is still in the film and you’ll immediately know when it happens, but Cruise keeps on without a missed beat, proving he is up to this merciless task for future films. The shots are so epic and awe-inspiring, I was frankly puzzled by how they accomplished some of these stunts, including the building jumps and the big helicopter chase climax. Another good addition to ‘Fallout‘ is that Ving Rhames‘ character has a ton more time to shine with some emotional and even funny moments. It was nice to see his character Luther have some room to breathe and actually be a key figure in the film finally. 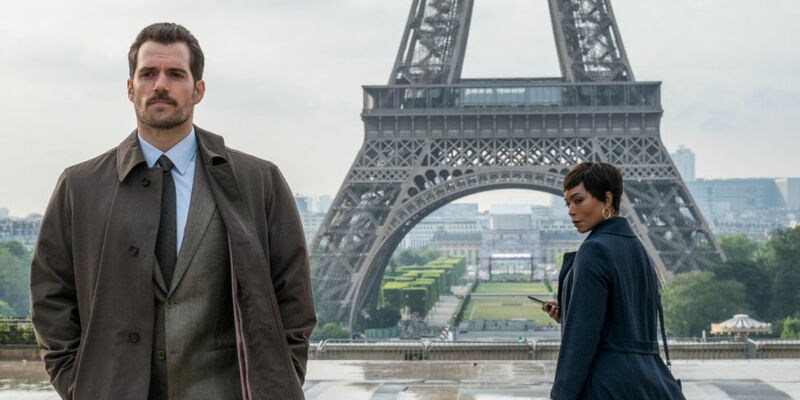 ‘Mission: Impossible – Fallout‘ might be the ultimate action movie that has heart, layered characters, big action set pieces, and an abundance of high-end suspense. Even with its 2.5 hour run time, it feels like 30 minutes. 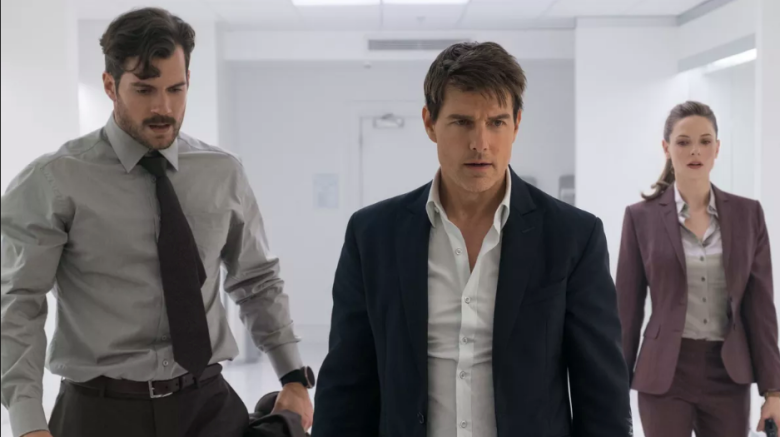 I’m ready for the next installment with Cruise and company already, because of ‘Fallout‘ is the new direction these spy films are going, count me all the way in. This entry was posted on Wednesday, July 25th, 2018 at 2:08 pm	and is filed under Film, News. You can follow any responses to this entry through the RSS 2.0 feed. You can skip to the end and leave a response. Pinging is currently not allowed. « The Unbalanced Note #3 – ‘AC/DC’! [narrating] The following April Andy did tax returns for half the guards at Shawshank. Year after that he did them all including the warden's. Year after that they rescheduled the start of the intra-mural season to coincide with tax season. The guards on the opposing teams all remembered to bring their W2s. So Moresby prison issued you your gun but you actually had to pay for it. Damn right. The holster too. You see that's tax deductible, you can write that off.